As I sit in my small Parisian flat on this Sunday, my two fans blowing at cross-currents with me strategically positioned in the middle, I have just enjoyed what many people in France consume during the summer: cold gazpacho accompanied by a glass (or two) of chilled rosé wine. Délicieux. There’s a popular brand in the supermarkets here that’s quite good. But when I learned that Alvalle is owned by PepsiCo, I decided to make my own. Nothing could be easier. For anyone on a diet, remember you’re eating raw liquidized vegetables. Most fruits and vegetables are free on the Weight Watchers program, so you can eat all you want (recipe below). Rosé wines have enjoyed phenomenal success in the past two decades (much to the delight of wine producers.) 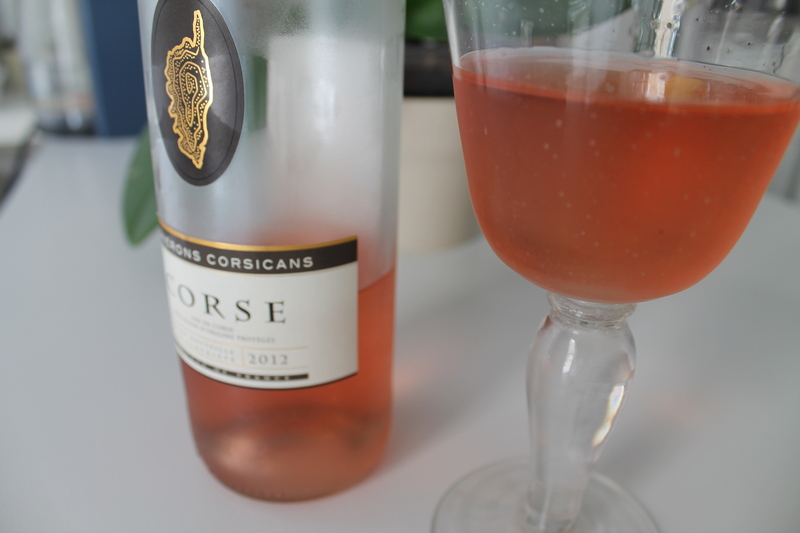 The region of Provence is the spiritual home of rosé, but I enjoy a Corsican varietal. 6 ripe tomatoes, 1 purple onion, 1 cucumber, 1 sweet red bell pepper, 2 stalks celery, fresh parsley, 1 clove garlic, 1/4 cup red wine vinegar, 1/4 cup olive oil, freshly squeezed lemon juice, 1 or 2 small teaspoons sugar, salt and pepper, 1 tsp Worcestershire and/or Tabasco, 4 cups good quality tomato juice. Don’t worry if you don’t have all these ingredients, I didn’t have the celery, parsley or Tabasco yesterday. Combine in a blender or with a hand-held mixer. Be careful not to overblend because you want it slightly chunky. None of the recipes I saw called for fresh basil. I added fresh basil. 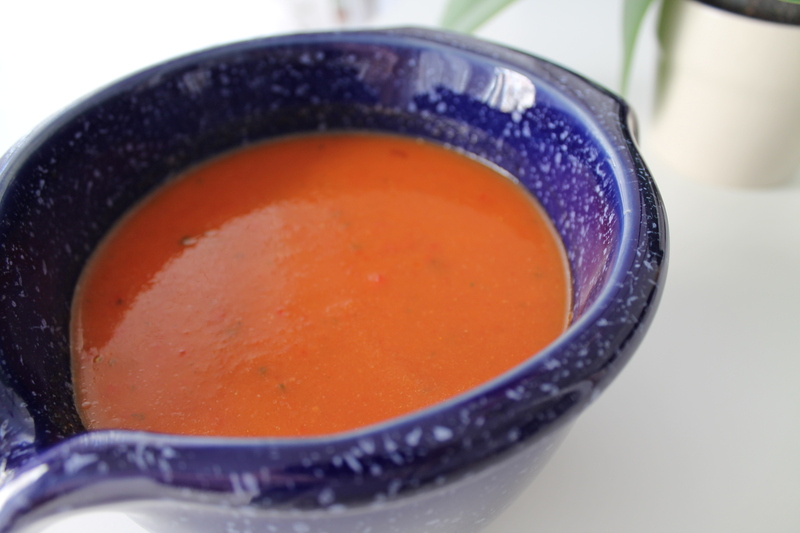 This entry was posted in General and tagged gazpacho, rosé wine by julesparis2013. Bookmark the permalink. 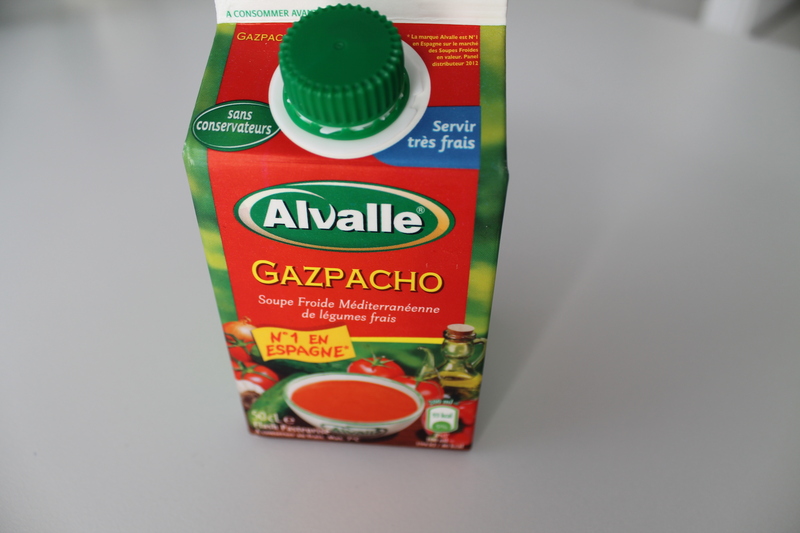 Have you ever made watermelon gazpacho. There are countless recipes. This is one of the easiest and most delicious I have made. Rose Shulman at NYT gets the credit. No, I haven’t. Sounds delish … I love Rose Shulman’s recipes. Thanks!